20 Historic Battles - Now YOU are in command! 1 Scenario Booklet featuring 20 historical scenarios, plus Expansion Rules. 1 double-sided Terrain Effects Card. 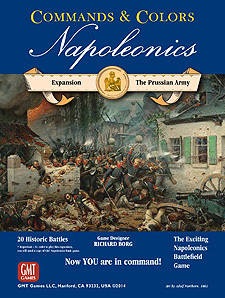 Important: In order to play this expansion, you will need a copy of the basic Commands & Colours Napoleonics game.